Castiel ★. . Images in the Castiel club tagged: castiel supernatural misha collins. 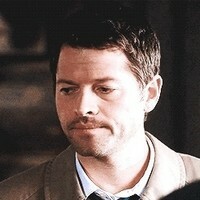 This Castiel icon contains potret, headshot, closeup, and headshot closeup. Are anda there, God? It's me, Dean Winchester.